participate in liturgy and Eucharist, regardless of age. with creative and critical minds in Sunday School. one-time, occasional, or weekly ministry commitments. We welcome and include children of all ages at our 9:15 am service. Children participate in the choir, on the altar, within the sermon, and reading at the pulpit weekly. On the first Friday of each month, we hold a special weeknight service at 5:45 pm, followed by dinner. This is a very family-friendly opportunity to welcome spirituality into our lives through fellowship, food, scripture, music, holy communion, and more. Sunday School follows the 9:15 am family service during the school year for ages 4 through 18. Fun and creative classes are lead by artistic and passionate teachers who engage children with bible stories through art movement and service. Concurrently, parents gather for fellowship and forums lead by clergy and parishioners. This ministry is a support and information group for young children and their parents and caregivers. The Ones & Twos group meets weekly on Tuesday at 4:00 pm in Laughlin Hall. This is a great opportunity to connect and enjoy the company and conversation of other parents and caregivers of toddlers. Join us for coffee and connection. There are many impressions made on children when they come to church. We want to ensure that children feel welcome. There are coloring bulletins for younger children in the back of the church - we wish to make sure that younger children (and their parents) feel welcome through the service. Sunday School is offered at 10:15 and on appointed Sunday mornings for young people age two through high school. Preschool and elementary classes offer age-appropriate engagement with Biblical stories through art, movement and service. Sunday School coincides with the school year and resumes in the Fall. Nursery care is offered for our youngest members through age six during worship (9:00 am—1:00 pm); parents and caregivers are encouraged to bring children to the service, especially at communion time. Children in the third grade and above are encouraged to lead and learn in the liturgy by serving as acolytes. Our junior acolytes participate in services through activities such as: carrying the cross, lighting candles, and serving at the altar. Becoming a junior acolyte provides a close-up learning experience for children while participating in the life of the congregation. The St. Luke's Youth Group meets twice a month for fun and fellowship. On Sundays, we gather for Formation at Teens Around The Table. Our Youth Group also plans a monthly fun activity for Youth Group Fun Friday, where events can range from laser tag to glow in the dark capture the flag. Teenagers in the ninth grade or age fifteen and above are beginning to make adult decisions about who they are and how they will live. 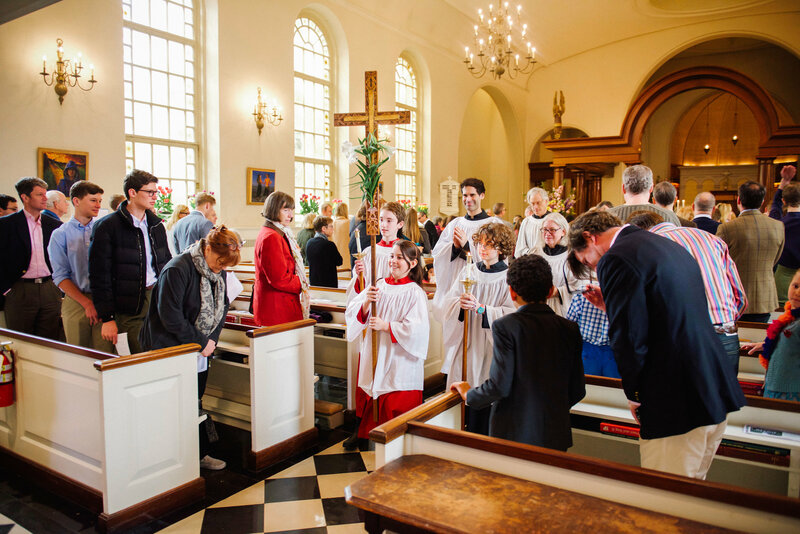 Confirmation classes are offered every other year to engage the major doctrines of faith and to discern what Christian commitment means for young adults in the Episcopal Church and Anglican Communion. Children learn most about Christian life by watching their parents and other adults practice their faith. 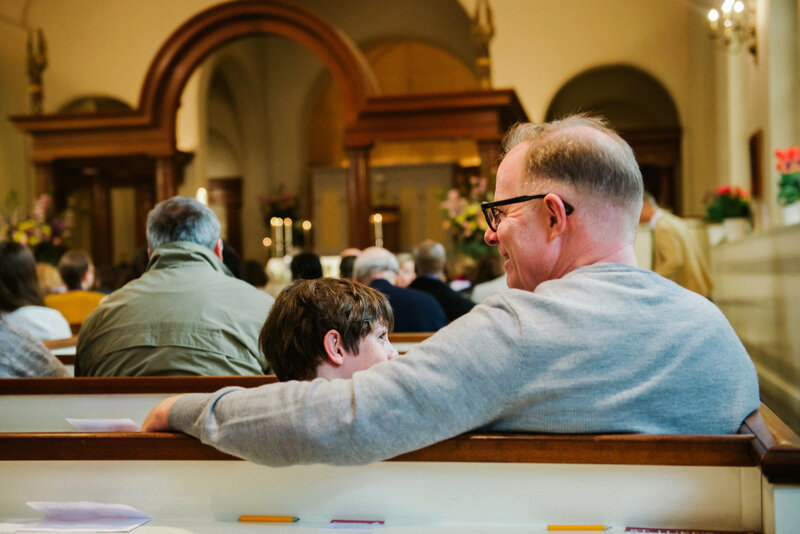 At St. Luke's, we provide times for parents to learn with their children so that Christian formation is understood as a process that reaches beyond the walls of church or classroom to family life in general. Parents, children and teenagers worship together every Sunday at 9:15 am. Parents are invited monthly to class events where different age groups come together to explore the many aspects of our faith tradition. Special events, like Shrove Tuesday supper and palm burning, offer time to meet other families and to strengthen understanding about Christian practices. Infant baptism is the practice in which parents thank God for the gift of a child, make a commitment to start the child on the journey of faith and ask for the Church's support. Parents who have decided to make St. Luke’s their spiritual home are invited to contact an Associate to discuss the meaning and importance of the baptism. This ministry is a support and information group for young children and their parents and caregivers. The Ones & Twos group meets meets weekly on Tuesday at 4:00 pm in Laughlin Hall. It is a chance to drink coffee and connect with other parents of very young children. All are welcome! For more information on St. Luke's School and its admissions process, please visit their website.